ARRL, Metro Skywarn & more. Find information on classes, exams and how to join after you have your ticket. Thanks for taking the time to take a look at the Bloomington Amateur Radio Association. We are a group of amateur radio operators based out of Bloomington, MN. Monthly meetings are held the first Tuesday of every month (except July and August). Looking for information on how to become an amateur radio operator? Find information on upcoming classes, exams as well as study information for all levels here. The ARRL July 2018 Board of Directors meeting minutes have been published on the league’s website. I wanted to share with you some of the highlights of the meeting. The ARRL Articles of Incorporation were updated to include volunteer indemnification, add “the national association for Amateur Radio” to the front page and update the Board of Directors election schedule. The details are contained in the meeting minutes and the arrl.org website will happen soon. The Dakota Division is looking for a new Contest Advisory Committee member. The Contest Advisory Committee was tasked with studying aspects of digital mode contests and the November ARRL Sweepstakes. If you have an interest, please contact me directly. I hope you enjoy the rest of your summer. I look forward to visiting South Dakota members in Sioux Falls and Rapid City later this month. The fall hamfest season is near and the Dakota Division calendar has been updated at www.arrldakota.org. Vice Director Nelson is planning to attend the RRRA hamfest and ARRL North Dakota State Convention, September 29th, in West Fargo. Radios in the Park: ANTENNA SHOOTOUT July 26! SARA’s “Radios in the Park: The Antenna Shootout” is Thursday July 26 at Valley View Park in Oak Park Heights. Setup begins about 5:30 and we’ll get the first antenna up and on the air shortly after. Additional candidates include a loop antenna from N0BM, and a horse fence 40-meter dipole (just for the fun of it). Come on out and enjoy the pleasant evening in the park! The TCFMC picnic will be at the Louisiana Oaks Park Pavilion (the Field Day location) 3520 Louisiana Avenue South, St. Louis Park from 6 to 9 pm. The premiere operating activity of the year takes place Saturday June 23 until midday Sunday June 24. The Bloomington Amateur Radio Association joins the Richfield Radio Club at the Richfield Community Center on Nicollet Avenue for this event. Please show up around 10 A.M. to help setup. Radio operations begin at 1 P.M. Saturday and conclude at 1 P.M. on Sunday. Help tearing down is most appreciated. Please click on above link for all the details. 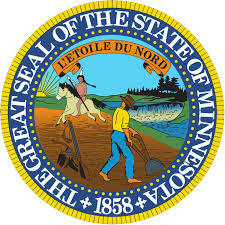 On behalf of the Bloomington Amateur Radio Association, I would like to issue a challenge to local clubs around Minnesota (including their membership in surrounding states): can you get more stations on the air and logs submitted for the ARRL June VHF Contest than BARA? With Field Day on the horizon, the June VHF contest is a good opportunity to get operators on the air and making contacts, even if it’s only on 2m/70cm FM. It would be fun to see if you can put your microphone where your mouth is and make a few contacts during the June VHF contest. The contest runs from 1:00 PM CDT Saturday 6/9 (1800z) to 9:59 PM CDT Sunday 6/10 (0259z Monday 6/11). To make things a little less intimidating, I suggest three half-hour FM focus times during the contest, 4:00-4:30 PM Saturday 6/9, 8:00-8:30 AM Sunday 6/10, and 9:30-9:59 PM Sunday 6/10, using a frequency of 146.550 MHz (and 446.000 MHz). With these focus times, a casual operator doesn’t need to spend the whole weekend looking for contacts, and there’s even a category exclusively for FM-only operators. The information exchanged is your four-character grid square, and you will need to log frequency, call, grid square, time (UTC) and mode. In Bloomington and the southern Twin Cities metro the grid square is EN34, but you should check yours before participating in the contest. If you are interested in a quick overview of how to participate in a VHF+ contest, complete with recommended scripts for contacts, I urge you to take a look at this 2-page guide. For a more detailed discussion of VHF contesting, including modes other than FM, there is a longer guide here. Full rules for the ARRL June VHF contest can be found on the ARRL website. Make sure that after the contest you submit your log to the ARRL! You can enter the data from paper logs and submit them directly using this web tool. I hope to hear you on the air! The forecast on Sunday afternoon looks quite nice, so I’m planning to operate portable on 20 meters at Kenwood Park, somewhere on the hill near the center of the park from 2-5 PM CDT. If you’d like to come by and join me, you’re welcome to do so. It’ll be a bit like Field Day, except shorter (but very likely good weather). Bringing a pair of headphones/earbuds and a logging device (pad of paper, notebook, phone, computer) is recommended. Left to my own devices I’ll be operating using Morse code, but I’ll have capability for all modes including voice, FT8, and RTTY for anyone who wants to join in and doesn’t know code by ear.